When it comes to reloading ammunition, it is important to have complete, accurate, and reliable data. Having this information readily available can improve your reloading experience both in terms of quality and safety. Whether you are buying your first reloading manual or looking to add to your current references, it can be difficult to pick out the best reloading manual. There are a lot of options to choose from, but I would recommend any of these top three reloading manuals. They will have all the information you need including how to use all of the necessary equipment including powder measures and priming tools, in addition to showing you how to properly use the equipment they will show you how to take proper safety precautions and much more. Reloading manuals are an essential piece of equipment for reloading ammunition. There are a variety of factors that affect final pressures and velocities, and it can be easy to overlook a step. I was at a shooting range where a young man was rapidly firing his reloaded ammunition from a pistol. He had forgotten to compensate his .38 special loads for a longer barrel and ended up with three rounds stuck in the barrel. Luckily, he did not injure himself or others, but this incident could have been completely avoided with a quick reference to a reloading manual. It is recommended to always use load data from a proven and reliable source. There is no substitute for having a quality reference manual. Keep in mind that when developing new loads, you should always start at the low end of the data and work your way up. When you are picking out a reloading manual, you want to make sure it covers your specific calibers. Most reloading manuals are going to have all of the basics. However, if you only reload certain types of ammunition, look for a manual that specializes in that area. For example, if you want to reload ammo for older, military-style rifles, you will want a manual that includes load data for older firearms. Or if you are focused on wildcat cartridges, there are several options that focus specifically on that. Additionally, if you want to reload only for pistol, or only for rifle, take that into consideration as load data can vary. A beginner should be looking for a complete reloading manual that offers more than just load data. When just getting started, there is a lot of information to learn. It is very helpful to have a reference for all of your reloading questions. A great manual for the beginner reloader will cover topics such as equipment and proper use, load data, safety precautions, and more. Due to a variety of reasons, many reloading manuals are brand specific and load data can vary between different companies. Bullets may be produced using different tolerances, or have design differences that can affect pressure and velocity of the load. Similarly, variations in powder tolerances can be the reason that some manuals offer different load data than others. If you are going to be using reloading supplies from a specific manufacturer, it would be recommended to go with a manual from them as well. 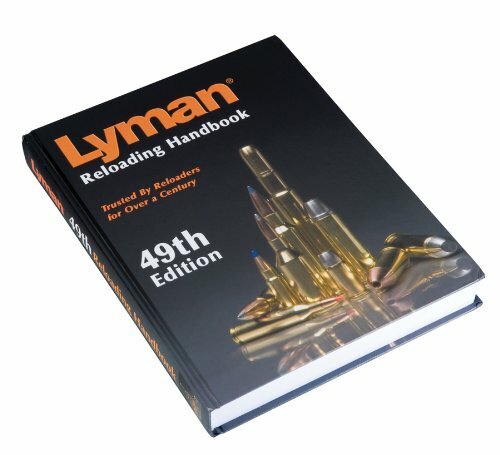 The Lyman 49th Edition Reloading Handbook is a very popular and well-regarded manual. Many consider this manual to be a must-have for reloading. It contains many popular rifle calibers such as 6.8 Rem SPC, 338 Federal, 204 Ruger, as well as newer pistol calibers such as 5.7x28mm, 460 S&W, and others. It contains a wide variety of load data for many different powders and bullets. Just a few of the bullet brands included are Hornady, Swift, and Sierra. A nice feature of this manual is that it suggests a ‘most accurate load’ which makes a great starting point. Beyond the load data, it includes instruction on the process of reloading. If you are looking for an all-around reloading manual, this is a great option. Covers the basics and contains great instruction. New styles of powders are being produced that are not covered. Some of the newer bullet profiles and weights are not available. 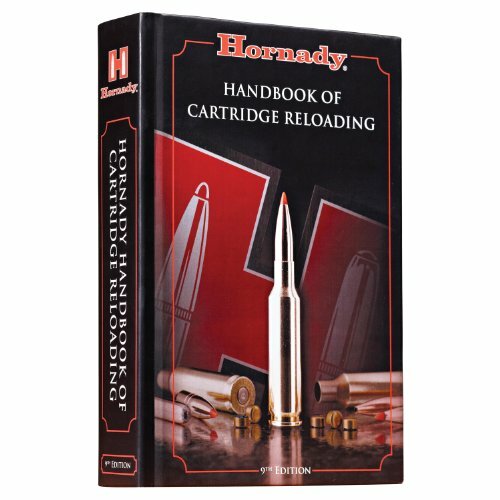 If you are planning on using Hornady components for reloading, you should consider the Hornady 9th Edition Handbook of Cartridge Reloading. It is very well laid out and contains a lot of useful information in addition to the load data. Because it is specific to Hornady, this manual is able to cover many topics in depth. It has a complete section on service rifles and also includes instruction on the reloading process. Powders and bullets are discussed in detail with easy to read tables and velocity/powder charts. It includes a wide range of different powders and bullets and also features expanded data on many popular cartridges. This manual provides an excellent resource for load data in a quick and easy format. It will also show you how to properly use equipment like case trimmers and single stage presses. 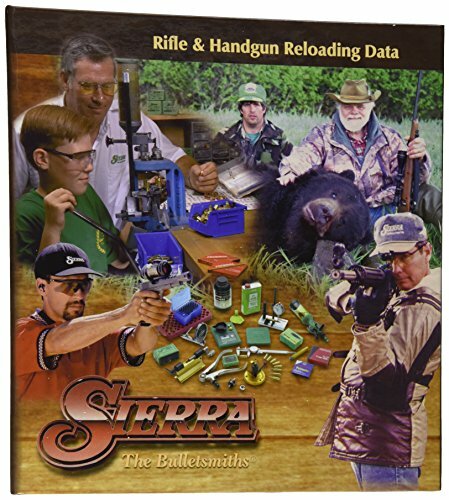 The Sierra 5th Edition reloading manual is a good option consider if you are reloading for the first time. It features detailed instruction on the reloading process in a simple and easy to follow layout. A FAQ section provides quick answers to many reloading questions. Several different reloading techniques are covered so regardless of your equipment, this manual will be a good reference. Additionally, it comes in a handy three-ring binder format which makes it convenient to add notes to your load data. It includes many of the most popular cartridges, bullets, and powders. A quality manual is an indispensable tool when it comes to reloading your own ammunition. With so many different factors affecting load data, it is essential to have complete, accurate, and reliable information. Due to the number of bullet and powder manufacturers, there is no single reloading manual that is going to contain all of the available information. In most cases, it is recommended that you own several different manuals to reference and cross-check load data. However, among the three best reloading manuals, I would recommend you start with the Lyman 49th Edition Reloading Handbook. It features a wide range of available powders and bullets and makes a great go-to reference book for reloading. The Hornady and Sierra manuals should not be overlooked though, especially if you plan on using those specific components for reloading. For the price, the Hornady manual is tough to beat, and the Sierra manual is an excellent resource for the beginner. These top three manuals are important to own in order to have a safe and quality reloading experience. Thank you for visiting Reloadingpresso.com. If you like any of the equipment that you see in this article, please click on one of the Buy Now buttons to make your purchase on Amazon. As an Amazon affiliate, we make a small commission off any purchase made from a click through from our website, which is how we are able to provide you with these informative articles. You will not pay more on Amazon by clicking through our website because the price is the same as if you go to Amazon directly. If you’re looking for more than what you see here, please review our Best Reloading Kit Buyers Guide and our Best Gun Safe Buyers Guide. Mark is dedicated to improving his skills and prides himself in putting in the time and effort to be successful in the field. During the fall and winter he is focused on waterfowl hunting and will hunt every chance he has. He has a simplistic hunting style, often using only a handful of duck decoys over an ultra-low profile blind. When waterfowl season closes, you can find him fishing, camping, or at the shooting range preparing for 3 gun and IPSC competitions. Mark is passionate about hunting and the outdoors, and loves helping others get involved.